We are committed to empowering families with knowledge by offering educational workshops to organizations and parent groups. Contact Alex to discuss a presentation to your group. Special Needs Financial Planning is planning for two generations. Many children with a disability must be supported their entire lives, even long after their parents have died. Our approach reaches beyond the limited boundaries of Wills and Trusts to provide you with a road map to address your own family's Special Needs. 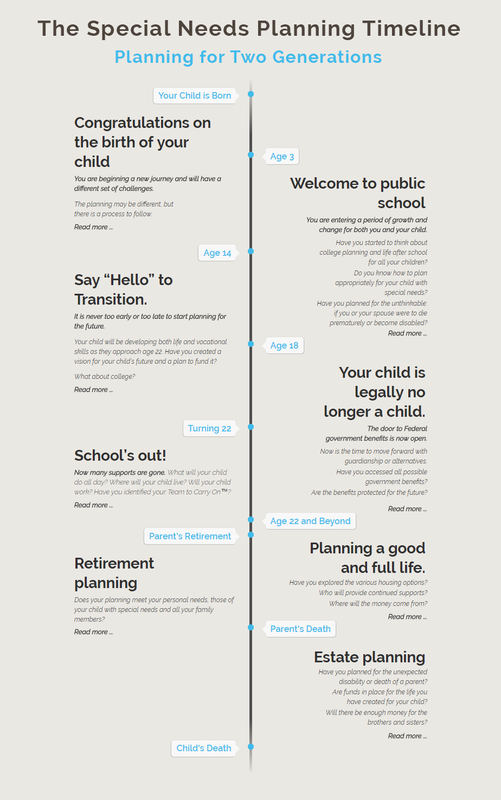 Planning for Two Generations centers upon our Special Needs Planning Timeline™. The timeline highlights the various planning pressure points where parents should be aware of changes relating to their child's benefits, legal and financial issues. The primary focus is to help parents avoid common mistakes and pitfalls in their own planning. In addition we will also discuss the new ABLE account and its potential role in planning for your child. Contact Alexandria Nadworny for more information about Planning for Two Generations. 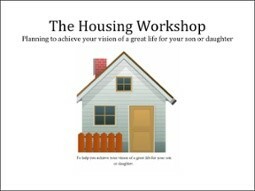 The Housing Workshop is a step by step guide to planning for your child when it is time to move out. It will focus upon combining personal resources and government benefits to create a home for your loved one. The goal is to help you plan to achieve your vision of a great life for your son or daughter. Contact Alexandria Nadworny for more information about The Housing Workshop. A Team to Carry On covers the considerations beyond the wills and trusts: the details of living. We’ve learned from the families we have worked with over the past 20 years that planning for an individual with special needs requires a different team: a team of professionals, friends and family members who will form an infrastructure to carry on even when you are no longer there. Planning for the future of an individual with special needs requires marshaling financial resources but even more importantly, arranging for the human resources to carry on in the role of the parents. While no one person can duplicate what a parent does, the family should identify a person who will captain a team with at least three members with distinct roles: a trustee, a guardian and a money manager. Having a team provides the checks and balances that protect against any conflict of interest. 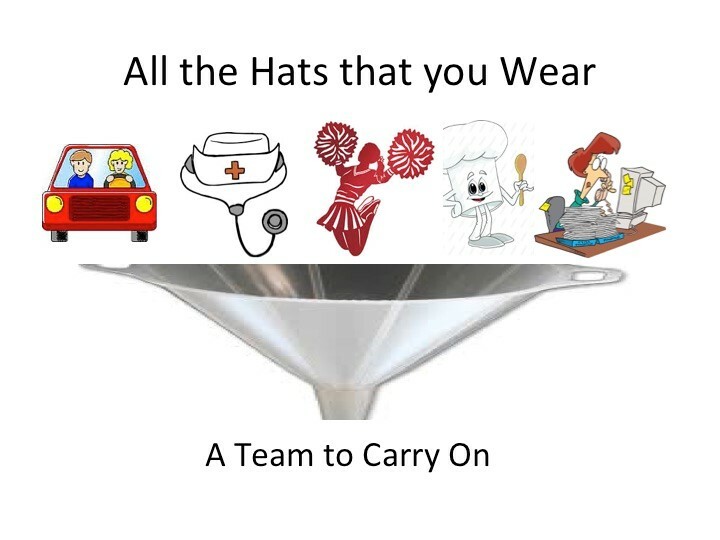 Contact Alexandria Nadworny for more information about A Team to Carry On. Brothers and sisters share the longest relationship on earth. 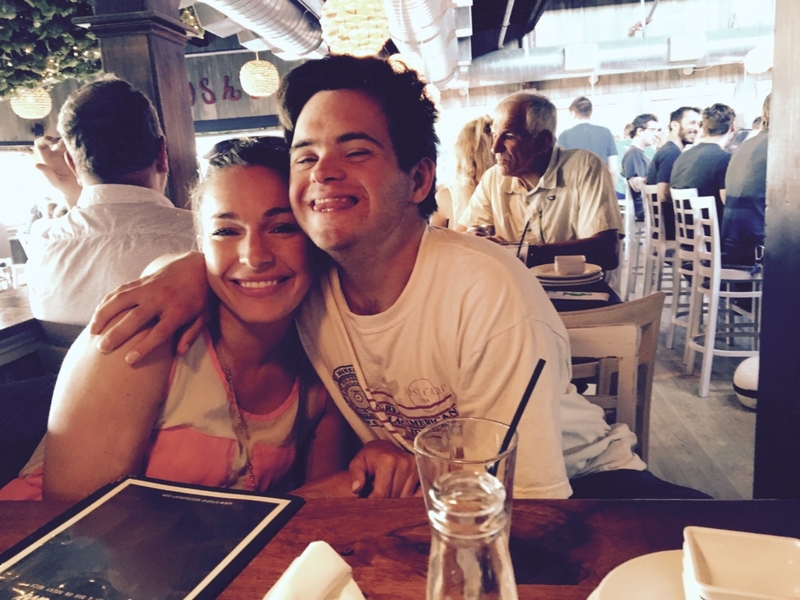 As siblings play a larger role in the lives of their brothers or sisters with a disability, they often times are confused by the new set of terms and acronyms they need to learn to navigate the service system. SibTips™ was created by Siblings for Siblings and is a combination of a glossary of terms and acronyms used in the disability community and practical tips for siblings to know. Download a copy of SibTips. The SibTips™ presentation focuses on sharing practical tips that siblings need to support their brother or sister with disabilities as they plan for the future. Our speakers (and both sisters of brothers with disabilities) Cindy Haddad and Alex Nadworny will discuss aspects of the caregiver relationship you should understand such as the history of services your sibling has received, your sibling’s support needs, and all family members’ wishes for the future. They will also provide tips on how to prepare to support your brother or sister to navigate the service system. Contact Alexandria Nadworny for more information about SibTips. Some of the organizations where we have been invited to speak. Contact Alexandria Nadworny for more information about connecting Your Organization.